YAY! WHOOOOPEE! Hurrah! 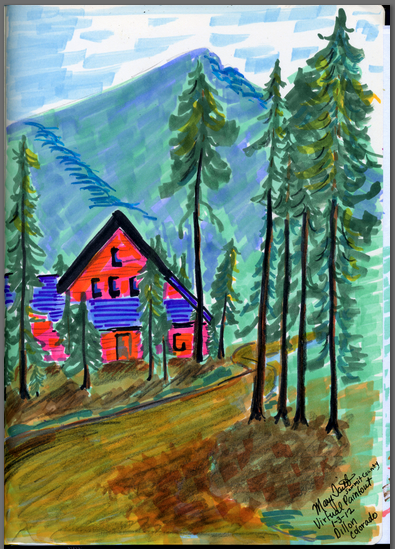 Stephanie's Moleskine came in the mail this afternoon--thanks Gretchen-- and I did a quick sketch in it for the Virtual Paintout in Summit COunty Colorado. I've tried three times and I've always screwed it up somehow, so I'm trying again a fourth time. Felt-tip Markers, graphite. My work in Mary's book.